Downtown Charmer! 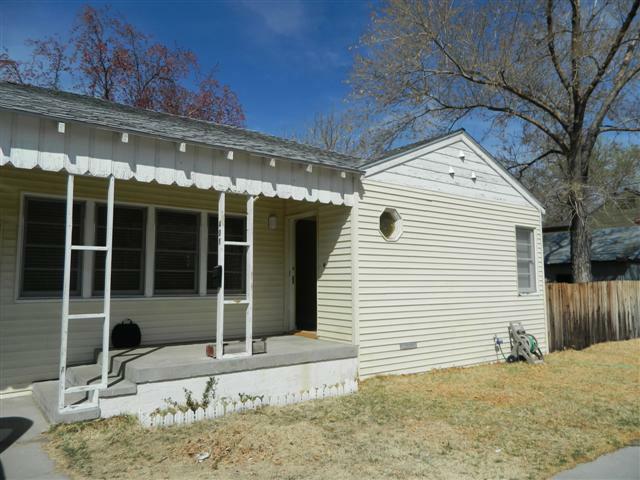 This very sweet 2 bedroom 1 bath home sits on a corner lot in downtown Bishop. Beautifully, refinished hardwood floors, updated kitchen, all new laminate flooring in kitchen, laundry and baths. Ceiling fans in the bedrooms. New window coverings. Large yard with storage shed. Laundry room. Stove, microwave, dishwasher, refrigerator, washer and dryer to all remain without warranty.